Broadoak School belongs to the family of high performing schools in The Dean Trust. 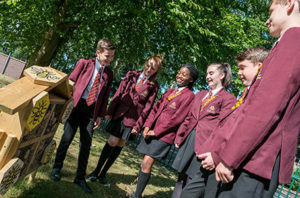 The Dean Trust’s core values include the offer of an academic curriculum, a strong emphasis on excellent discipline and the belief that every pupil deserves to benefit from the very best learning experience. The Trust’s motto of “Believe, Achieve, Succeed” lives and breathes in every aspect of Broadoak’s school community. Our school has a great reputation for quality education. 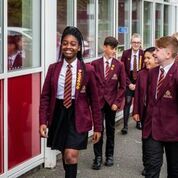 We set high academic standards by carefully crafting a pupil-centered approach where individual needs are matched with a broad, ambitious and exciting curriculum. 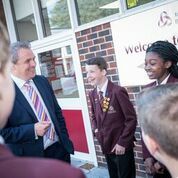 We aim to provide each pupil with the skills and qualifications to access further education or the world of work whilst actively encouraging them to become responsible citizens in both the local community and in wider society. Broadoak School has a very talented and dedicated staff, who are determined to provide the best quality teaching and support for all pupils in a caring environment. With its traditional values and unwaveringly high aspirations, Broadoak School is a world class learning environment in the heart of a caring community that pupils, parents and carers can be proud of. We are delighted that you are considering entrusting your child to our school. Our aim is to work in partnership with all parents and we will always be pleased to meet with you and discuss your child’s education. This school welcomes each child to be part of a community in which all concerned endeavour to provide a happy, safe and stimulating environment. We hope this website gives you a flavour of the work we do.